Charged with implementing the United States National Action Plan to Conserve Coral Reefs, Florida’s Department of Environmental Protection (DEP) and Fish and Wildlife Conservation Commission (FWCC) established the Southeast Florida Coral Reef Initiative (SEFCRI), a team of professionals from government, non-government and coral reef stakeholders, users and non-users of Florida’s east coast coral reef ecosystems. The team is charged currently with developing Local Action Strategies (LAS) (action options) through a community planning process called Our Florida Reefs, with input from what is labeled Community Working Groups (CWG). The recommended strategies (LAS) are to counter 4 categories of threats to Florida’s east coast reefs, which include: (1) land-based pollution; (2) maritime industry and coastal construction impacts; (3) impacts from fishing, diving and other uses; and (4) awareness and appreciation or lack thereof for the resources. The results produced by the LAS will be Recommended Management Actions (RMA), which at this time have no force or effect. Two years of SEFCRI meetings occurred before the recreational fishing community realized the “reef fish” meetings included consideration of closures to recreational fishing. Hence no specific input from our community was taken into consideration during those years. While very few individuals would likely argue against the need to protect Florida’s reefs from threats causing harm. Differences of opinions will exist over the identification of the sources of harm. Who and how will determine sources of harm and which restraints will be implemented? The final answer to those questions will only be known when a Final Draft Recommended Management Action Plan is issued. Land based pollution is the primary culprit to destroying the water quality central to the health of Florida’s reef systems. 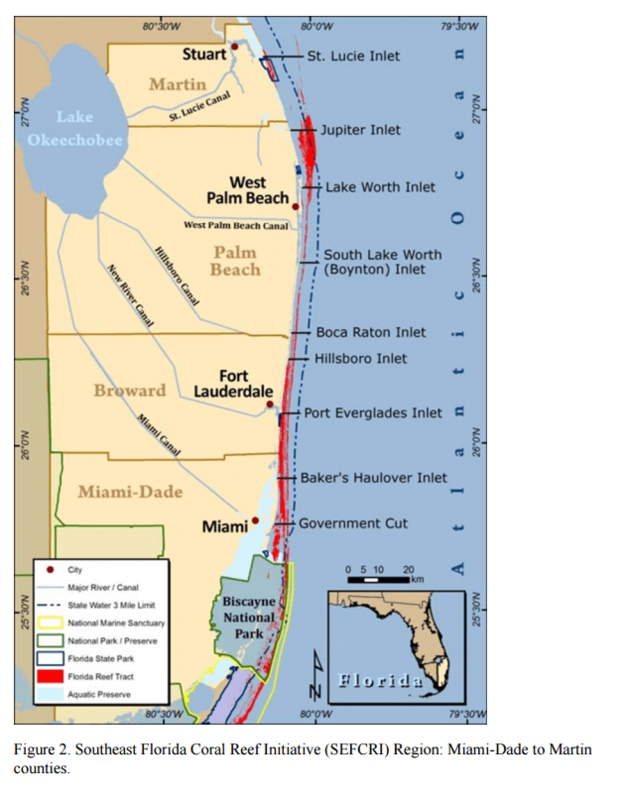 It was noted that government’s discharge of toxic runoff from Lake Okeechobee into the Atlantic Ocean and rivers at 70,000 gallons of toxic water per second was where a primary focus should be directed. 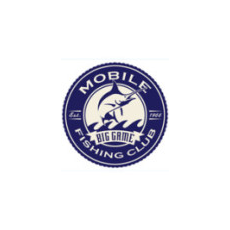 In addition to TBF’s comments many members of the recreational fishing community also shared their perspectives with the CWG at the June meeting. TBF will remain fully engaged on this subject and will issue Updates and Calls for Action. 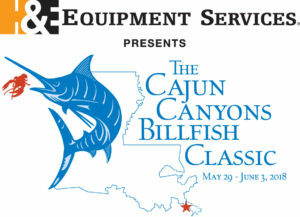 The Billfish Foundation (TBF) is a science–based, sportfishing conservation non-profit organization headquartered in Ft. Lauderdale, Florida. We appreciate the opportunity for joining the discussions being advanced through the Our Florida Reefs process to develop Recommended Management Strategies for protecting Southeast Florida Coral Reefs. While we support, as I think most Floridians do, the need to responsibly conserve Florida’s reef habitat and marine creatures and plants, we remind you of the balancing required to fairly manage and conserve a shared and multi-use resource. The three areas of greatest interest to TBF and our constituents include billfishing as a form of recreational fishing, recreational fishing as an important tourist industry and land based pollution. 1. Billfishing is a specific type of recreational fishing, which refers to surfacing trolling of natural baits, lures or a combination of the two for marlin, sailfish and spearfish in waters not linked specifically to reef habitat or its dependent marine life. Marlin species are more highly migratory in nature than sailfish, some making trans-Atlantic migrations; even so, sailfish are not reef bound nor dependent on reef prey or habitat. The stock structure identified for Atlantic marlin and sailfish exceeds the U.S. jurisdiction, and thus, the primary management and conservation falls under federal jurisdiction. Since billfish swim through the jurisdictions of many nations and into international waters the stocks of these fish require international management by the International commission for the Conservation of Atlantic Tunas (ICCAT). Billfish are pelagic in nature, they are not bottom fish. As you consider potential management recommendations for recreational fishing for different targeted species, we request that you distinguish surface trolling for billfish from other types of recreational fishing. In light of their international and national management since they are not reef dependent, we respectfully request you exempt marlin, sailfish and spearfish and fishing for them while surface trolling to be exempt from Recommended Management Actions for recreational fishing. 2. 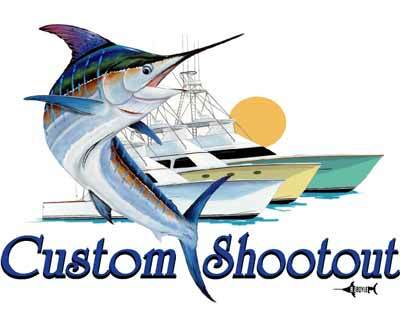 Recreational fishing is an extremely important segment of Florida’s tourist industry as well as millions of Florida citizens, who spend hundreds upon hundreds of thousands of dollars to fish each year. The responsibility for management of recreational fishing for reef dependent fish species should rest with the Florida Fish and Wildlife Conservation Commission. 3. 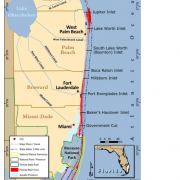 Land based pollution – With water quality central to the health of Florida’s reef systems, why is the SEFCRI not focusing on the “elephant in the pond” – the government’s discharge of toxic runoff from Lake Okeechobee into the Atlantic Ocean and rivers? In widely publicized reports and publications around the world, Florida appears either schizophrenic or hypocritical for on one hand you are saying Our Florida Reefs need protections and yet the government dumps 70,000 gallons of toxic water per second into Florida’s east coast reefs.